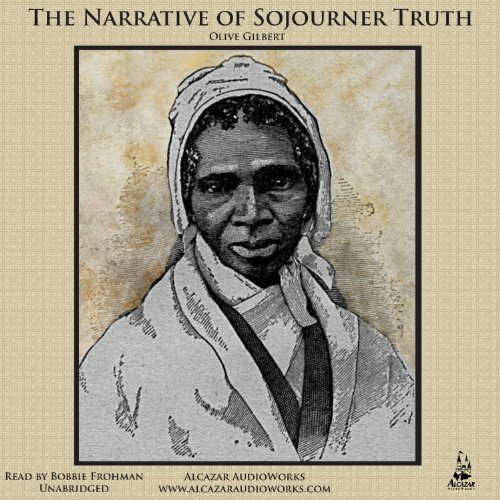 A poignant biography as told to Olive Gilbert by Isabella Bomefree-a slave (1797-1883) who later took the name of Sojourner Truth. She recounts the harshness of life under slavery and after winning her freedom, became a vociferous abolitionist for which she has been long remembered and revered. Table of Contents Chapter 01: Her Birth And Parentage Chapter 02: Accommodations Chapter 03: Her Brothers And Sisters Chapter 04: Her Religious Instruction Chapter 05: The Auction Chapter 06: Death Of Mau-Mau Bett Chapter 07: Last Days Of Bomefree Chapter 08: Death Of Bomefree Chapter 09: Commencement Of Isabella's Trials In Life Chapter 10: Trials Continued Chapter 11: Her Standing With Her New Master And Mistress Chapter 12: Isabella's Marriage Chapter 13: Isabella As A Mother Chapter 14: Slaveholder's Promises Chapter 15: Her Escape Chapter 16: Illegal Sale Of Her Son Chapter 17: It Is Often Darkest Just Before Dawn Chapter 18: Death Of Mrs. Eliza Fowler Chapter 19: Isabella's Religious Experience Chapter 20: New Trials Chapter 21: Finding A Brother And Sister Chapter 22: Gleanings Chapter 23: The Matthias Delusion Chapter 24: Fasting Chapter 25: The Cause Of Her Leaving The City Chapter 26: The Consequences Of Refusing A Traveler A Night's Lodging Chapter 27: Some Of Her Views And Reasonings Chapter 28: The Second Advent Doctrines Chapter 29: Another Camp-Meeting Chapter 30: Last Interview With Her Master Certificates Of CharacterOlive Gilbert (1801-1884) was an abolitionist who deeply felt the plight of slaves and spent over two years living with the emancipated slave and preacher, Sojourner Truth, carefully recording her story.